The Tresanton Hotel has 29 rooms, some with their own terrace. 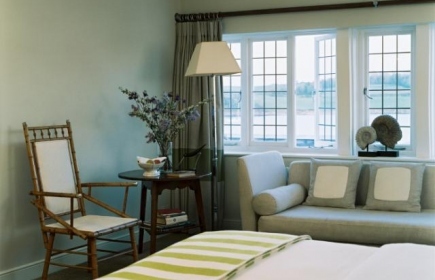 All the rooms have magnificent sea views and all have been individually furnished with antiques and Cornish art. There are 2 family suites within the hotel, which can accommodate up to three children, each with its own terrace. .